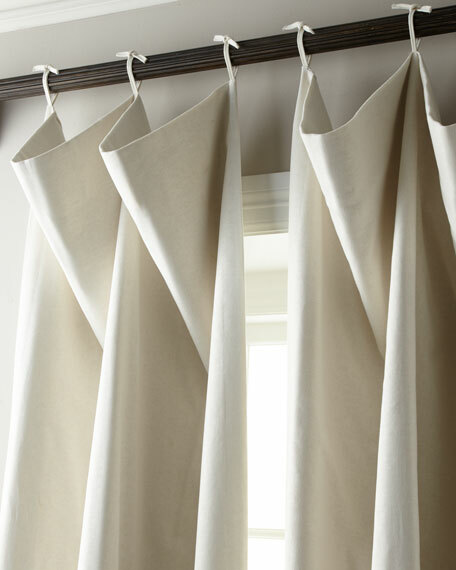 Creative Threads Sherwood Linen/Cotton Curtain, 108"
Linen/cotton.50"W x 108"L. 4" rod pocket; 2" header and back tabs. Dry clean.Imported. 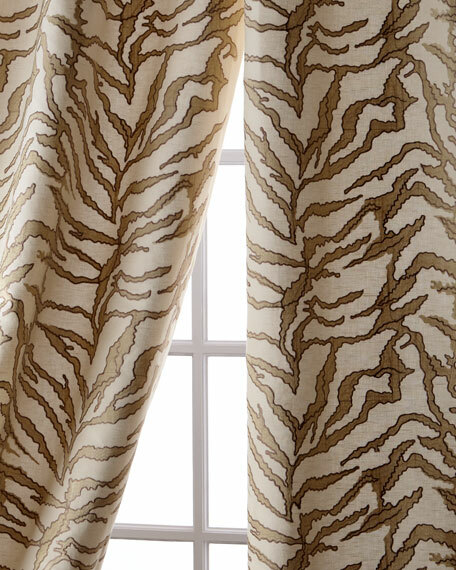 Semi-sheer striped curtains in casual linen/cotton fabrication.Styled with rod pockets and back tabs.Unlined.Each curtain is approximately 52"W.Dry clean.Imported. Striped taffeta curtains made of polyester, with polyester/cotton lining.Rod pocket styling.Weights at bottom.Approximately 52"W.Dry clean.Imported. Silk with sateen stripes; cotton lining.Select color when ordering.Dry clean.Rod pocket or hang with hooks (included).Each approximately 52"W.Imported.Tieback not included.